To check the balance on an Estée Lauder giftcard or an Estée Lauder e-gift card, click here. Estée Lauder is a maker of high-end cosmetics and beauty products in America. Established in 1946 in New York by Estée Lauder and her husband Joseph Lauder, the company’s products are sold and loved Worldwide. The first stockist of Estee Lauder products was Harrods in 1960, and the products are have been available in the former Soviet Union since the 1980’s. Where can I check my Estée Lauder gift card balance? You can check your Estee Lauder gift card balance online at this page of the Estée Lauder website. You can enquire about the gift card balance on freephone 08081 782066 (this number is operated by Estée Lauder). Where can I spend my Estée Lauder gift card? You can only spend your Estée Lauder gift card online at their website, here. It cannot be used at cosmetic counters within department stores, Estée Lauder concessions in stores or in airports. Where can I buy an Estée Lauder gift card? 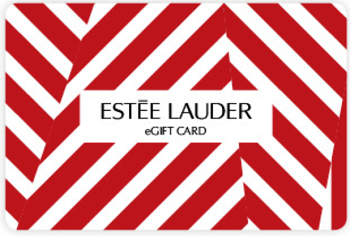 You can buy a gift card to be sent by post from the official Estée Lauder gift card website at https://www.voucherexpress.net/esteelauder. Delivery within the UK is free to your address or direct to your intended recipient. Anything else I need to know about the gift cards? A good piece of news – Estée Lauder gift cards have no fixed expiry date, so you don’t have to worry about them expiring!